How do we as scientists anticipate the impact of technology upon society? Students begin the unit with an examination of nationalism. With the rise of movements for popular sovereignty, groups began to re-imagine social boundaries around culture and ethnicity. This growth of nationalism became a new unifying element for Western governments. Student will reflect on this development through reading its development and evaluating its pros and cons. After completing the assignment, student reflect on the difference between nationalism and the African concept of ubuntu as explained by the Nobel Peace Prize winner, Desmond Tutu. Students consider the power of nationalism to unify people along ethnicity, religion, or beliefs, but also the danger of exclusion by finding pride in one's own group. Students are challenged to widen their thinking to include all humanity. 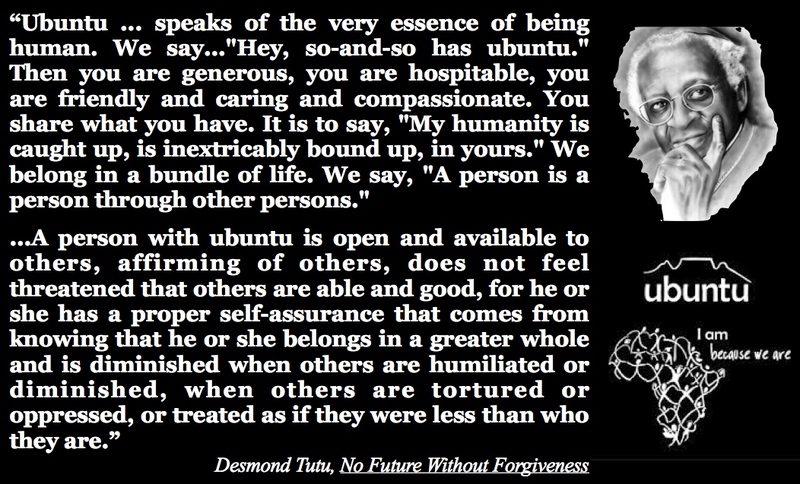 With ubuntu all humanity participates in a web of life that can be brought down together or lifted up together. Student begin this unit by reflecting on their prior knowledge of the Industrial Revolution and considering questions they are interested in pursuing. Some student responses are recorded in the attachment. Students begin by examining the centerpiece of the Industrial Revolution--the steam engine. In 1781 James Watt patented the steam engine that produced continuous rotary motion. This machine brought about a transformation in the demand for materials, energy and production. The first major transition of the Industrial Revolution occurred in the countryside. Innovations in agriculture prompted increased the productivity of the land leading to a population explosion. That population increase also led to a process of urbanization. Students will examine the changes that contributed to growth and migration. Students continue their examination of the Industrial Revolution by considering how one invention opens new problems to be solved in the race for greater productivity. Students reflect on the impact of industrialization on labor, particularly child labor. With the population growth, children became an increasingly exploited labor pool, because they could be paid less or put under "apprenticeships" and were easier to manipulate for factories. Public pressure to curb these abuses eventually led the British government to investigate. Students compare the testimony of two doctors and a child worker. The transition from the medieval, feudal world to the modern world saw the rise not only of constitutional governments, but also the rise of the bourgeois capitalist. The Enlightenment thinker Adam Smith called for the end of the mercantilism in his Wealth of Nations, which gave greater power to the capitalist. Students will examine how the market economy works, but also some of the issues that arose during the Industrial Revolution. The Industrial Revolution led to concerns over the treatment of workers (proletariat) by the bourgeoisie (capitalist entrepreneur), the impact on the environment and the production of frivolous luxury items. Karl Marx became the strongest critic of capitalism. Many of the concerns became part of government legislation designed to regulate the excesses of capitalism. The class begins their examination of imperialism by looking at the life of Cecil Rhodes, a major figure expanding the British empire. Students first examine a political cartoon regarding Cecil Rhodes and then watch a short video of his life. Using Cecil Rhodes as a picture of imperialism students outline the economic, political and social dimensions by asking three questions: Why he is in Africa? Why he is taking land? How does he justify his actions? Industrialization in Europe meant an increasing demand for raw materials, as well as, markets for their manufactured products. Capitalists looked beyond their nation to how they could exploit the wealth of other nations. The most dramatic example was the colonization of Africa. European nations transitioned from trading with African nations to taking the land. Students examine how a continent was reshaped in a matter of decades and how Europeans began to extract the wealth of Africa for themselves. Students will examine the social justification for imperialism that develops in Europe. The proto-racism of colonization fully flowers during this time with a "scientific" justification. Darwin's evolutionary ideas get reimagined in a social sphere as the "white race" being superior to others. With that sense of superiority comes the responsibility to civilize the "darker races." Students will examine how even children's stories are steeped in the imperialistic mindset. 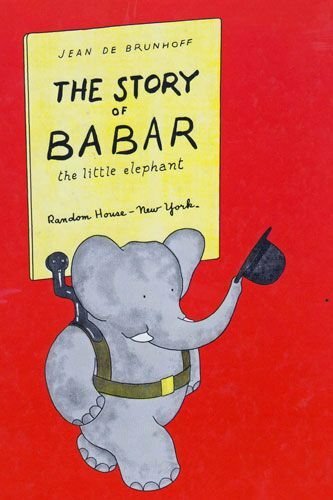 The class will read Babar and then critique the transitions Babar goes through. The class will examine the final factor in imperialism--the economic drive for raw materials. Students will be introduced to the the rubber trade in the Belgian Congo, how missionaries raised awareness to the abuses there and will compose a letter to the British government seeking assistance in bringing an end to the abuse. Students will examine the rise of multinational corporations by evaluating the British East India Company. Students will first understand what a joint-stock company is, in order to understand how it is driven by profit. This predecessor to the multinational corporation began to exert enormous power in the expanding imperialism. Students will examine how the EIC sought portray itself through a painting in comparison to what is missing from the picture through an examination of its history. Japan was the exception to Western imperialism. It went through major reforms to industrialize. Students wil read the transformation that Japan went through and then compare the process with Britain, namely urbanization, industrialization, factory life, and the beginnings of imperialism.